In Monaco, they certainly know exactly how to celebrate a holiday in the right way and in style. The Principality hones to perfection the ability to treat the public to magnificent celebrations full of colour. 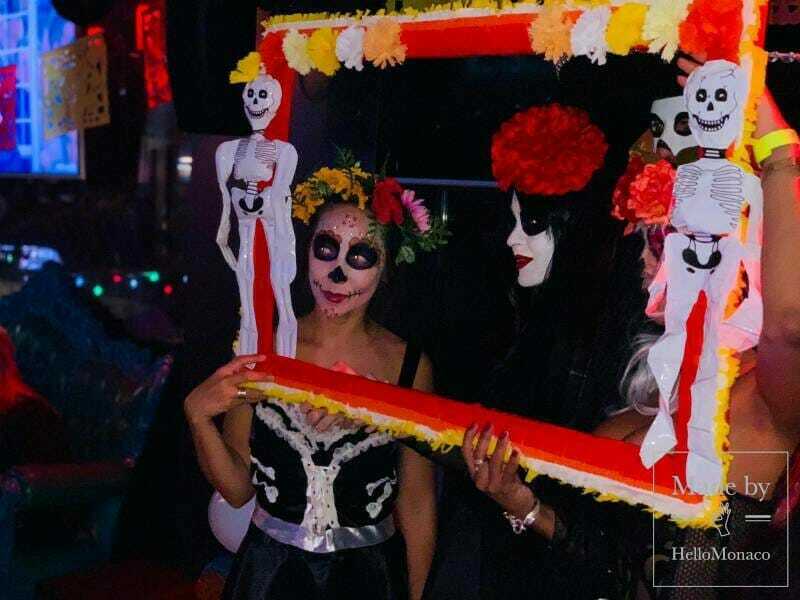 On October 20, the A.M.L.A hosted the Mexican “Day of the Dead” (Dia de los Muertos) in “Jack” restaurant, in port Hercules. The festivities were held just a little bit in advance this year (the Day of the Dead is traditionally celebrated at the very start of November), but the mystical spirit was already filling the Monaco air, as October draws to a close. You would think that the Day of the Dead evokes sadness, wouldn’t you? Not at all, this is one of the most fun of all the folk festivals in Mexico, since death is believed to be the start of a new stage in our overall existence. This celebration is considered the one unique opportunity to “see” dead relatives or at least to feel their presence. Mexicans believe that on November 1 all departed children and babies arrive for that special day in the world of the living, and on November 2, all the adults. 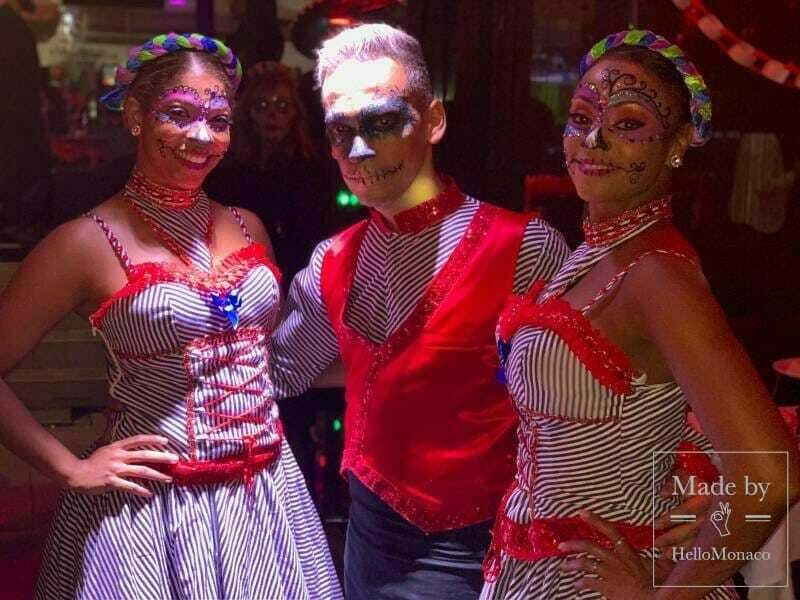 The Monegasque Association of Latin America (the A.M.L.A) certainly made every effort for their guests to be able to experience the atmosphere of the Latin American holiday. The event organizers clearly found inspiration in the “Coco” cartoon. 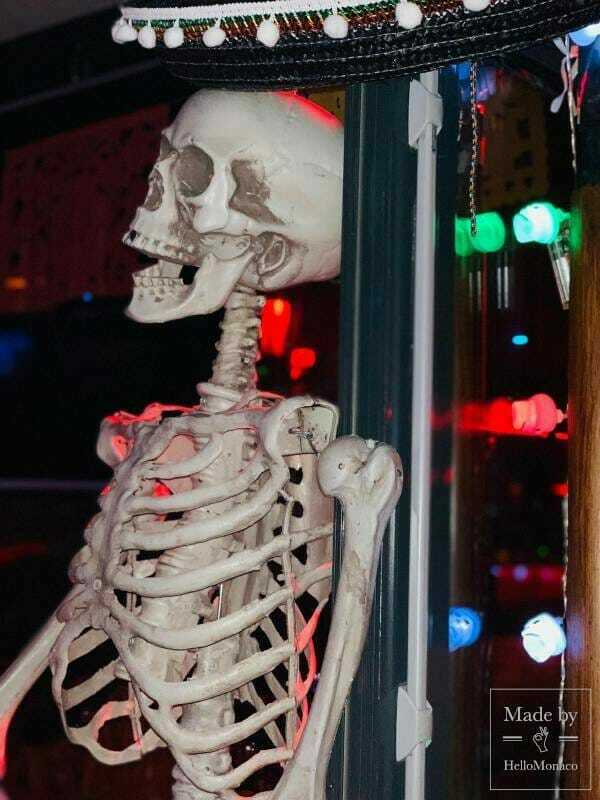 Strictly adhering to the dress code (of skeletons), the invitees were crowding around at the entrance to “Jack” restaurant. That’s where a fun photo-zone was staged for everyone to be captured in their extraordinary outfits. Those who did not have enough time or artistic flair to create their own theme make-up, were able to use the POP-up “beauty” booth. They came out with the most incredible makeup imaginable, in the style of a skeleton, of course. But the colourful outfits and “would-be-terrifying” makeup were not scary at all! Everyone was singing, dancing and enjoying the uniqueness of that special night. Margarita cocktails and traditional Mexican snacks were blending naturally with the live Latin American Mariachi music. It was fun and not at all scary! The Monegasque Association of Latin America definitely has more incredible events in store with which to amaze Monaco. Look for them in the near future – they are wonderful.